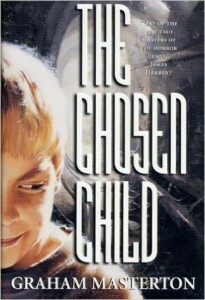 The Chosen Child is set in Poland, so a lot of the names of people and places are in Polish. I tend to read at quite a fast pace and when I encounter foreign words it slows me down, so this was initially quite a hard book for me to read. The problem is I tend to scrutinize the spelling of the words and do my best to pronounce them correctly—even though I have no idea what the correct pronunciation should be. If I see a letter ‘J’ for instance, I wonder if it should be pronounced the same as it is in English or perhaps more like a ‘H’ or a ‘Y.’ The one would be right in a Spanish speaking country, and the other in a country that spoke Dutch. How it should be pronounced in Polish, I have no idea. Other readers might not have this problem and may just read it as it sounds. Fortunately, as I got further into the story, and got drawn into it, the lingo became less of a problem for me and I managed to let my eyes just skip certain words and tried not to worry about it. In the first chapter the reader is introduced to a radio presenter called Jan Kaminski. Jan is quite a likeable fellow. Unfortunately he meets his demise before the end of the chapter and his body turns up in the second chapter minus its head. Chapter two also sees the entrance of business woman, Sarah Leonard, and detective Stefan Rej. Sarah is vice-president of Eastern European Senate Hotels. Senate Hotels own the land on which Jan Kaminski lost his life. They are in the process of building a hotel there. Detective Rej is in charge of the investigation into Mr Kaminski’s death and he is a poor, but very honest, member of the local police force. Rej and Leonard both have a job to do, and each of them takes their job seriously. Rej, on the one hand, has been forced to close the building site while he investigates the crime scene. Leonard, on the other hand, is under pressure to get her crew back to work. Because of this the two of them don’t start off on the best of footings. Circumstances, however, throw Rej and Leonard together; a friendship develops between them and even a little romance. Kaminski might have been the first victim of the killer that becomes known as The Executioner, but he isn’t the last, and as the body count—not to mention the head count—continues to rise, Rej remains convinced the killings are not random. He has no idea what the link between the victims is, but determines to find out. Meanwhile, on the Senate site, even without police interference, work has ground to a stop because the local work force believe a devil is behind the slayings, so they down tools until the problem can be resolved. With the site at a stand-still, Leonard’s job will be in jeopardy if she cannot get things moving again. As the death toll rises Rej also finds his job on the line and needs desperately to get a result for his superiors. 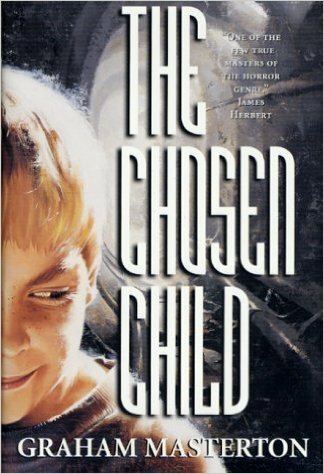 The Chosen Child has its fair share of villains, and corruption is rife in both high and low places. Leonard and Rej find obstacles piled in front of them at every corner. With the odds stacked against them, but with a few unlikely allies to help them, they carry on in their search for the truth behind the murders and hope to stop the executioner once and for all. Although I had a little trouble getting into this book, once I did so, I enjoyed it very much. It can be refreshing to read something that is set in a country other than America or the UK.